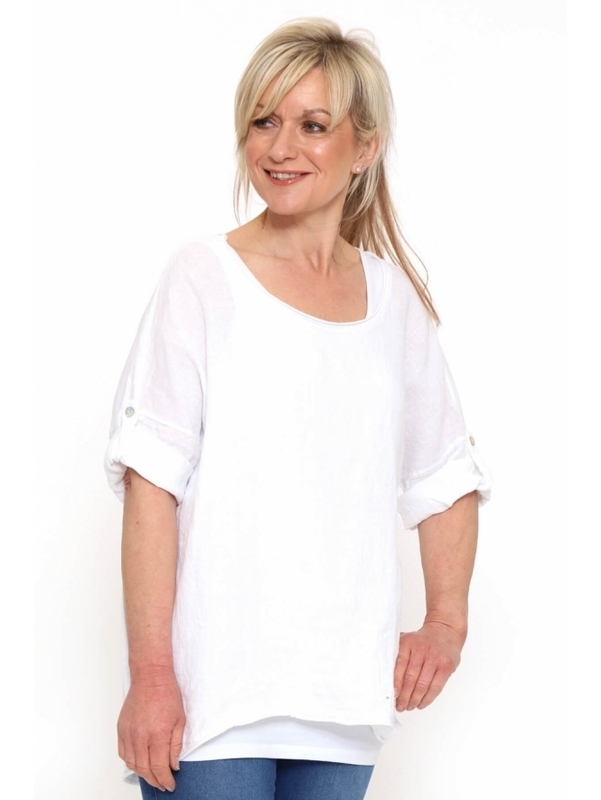 A new go-to cotton linen mix basic for the season ahead! The Made in Italy Candy Mill Washed Top features a classic round neckline with subtly ruffled trim and elbow length sleeves that look great buttoned back. Crafted from a summery cotton linen mix with an all over washed effect, this style is perfect to pair with jeans and pumps for a simplistic off-duty outfit!